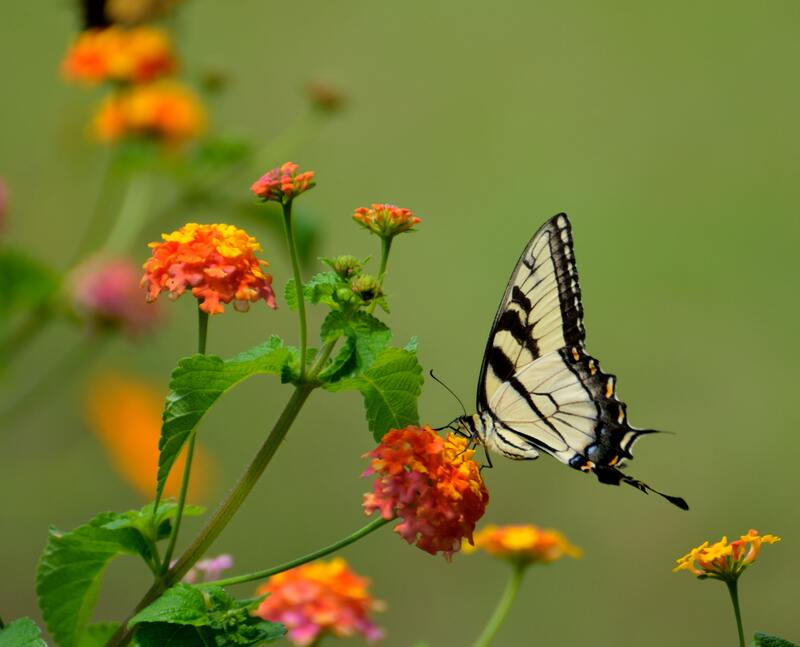 How to Create a Stunning Butterfly Garden - Fox Hollow Landscaping and Design, Inc.
Butterflies can be such a wonder of nature to view. They have gorgeous markings and flit about your backyard without a care in the world. Butterflies are attracted to certain kinds of flowers, and you can plan your landscaping or potted plants to attract them to your yard. Creating a butterfly garden is easy, and we can take you through the process. It is essential to have the appropriate type of flowers planted to not only attract the butterflies, but also to make sure they get proper nourishment and nutrients to continue to visit your home and grace you with their beauty. Keep reading to learn how you can create a stunning butterfly garden and add a real feature to your landscape. The first thing you need to do to create a butterfly garden is to research the subject in detail. Depending on your location, you need to know what types of butterflies live in your area. This helps you select the appropriate plants and flowers that the butterflies will be attracted to. Once you have some knowledge of the types of butterflies that are native to your backyard, it’s time to plan your garden. Keep taller plants in the back and smaller plants in the front. Think about the size the mature plant will reach. Also, make sure you plant your garden in a way you can view the activity of the butterflies. One of the most essential elements for your butterfly garden is the sun. The plants that butterflies rely on need a minimum of six hours of sunlight a day. Sunshine is also crucial for butterflies, as they need warmth to fly and to get some nutrients. The nectar-producing flowers that are required to feed butterflies need to be placed where they can receive sunshine from mid-morning to mid-afternoon. The next important concept for your butterfly garden are natural materials. If you want to assist butterflies and help to conserve them, then you must avoid harsh chemicals around them. This means you are not to use chemicals for weed control. You may need to figure out another method for preventing pests, as garden pesticides and insecticides are deadly and toxic to butterflies. You want to keep all the butterflies you are attracting safe from the dangers of harsh chemicals. Butterflies like nectar, so plant flowers that produce a multitude of nectar as well as pollen. Butterflies are extremely sensitive and use the sense receptors in their feet, legs, and antennae, to determine if the nectar is edible. Make sure to use bright color flowers as butterflies utilize both color and taste to determine which bulbs to get nourishment from. Lastly, butterflies like variety. Plant both wild and non-wild flowers in groupings in your backyard. 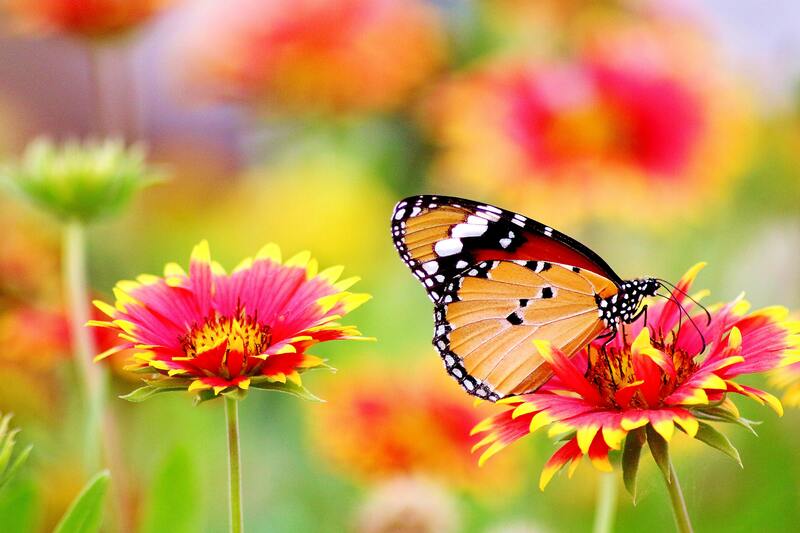 By planting a variety of flowers, you have a better chance of attracting more butterflies. Plant the flowers in groups to give butterflies an easier time locating the flowers, and getting better access to much-needed nectar. How Can I Create And Maintain A Butterfly Garden In My Backyard? Starting and keeping a butterfly garden can be a difficult task if you do not know where to begin. A lot of research and planning needs to go into this endeavor before making any purchases or breaking ground. Once you are well informed, placing your garden in the sun, using organic materials, and selecting nectar-producing flowers are necessary to make your butterfly garden a swarming success. 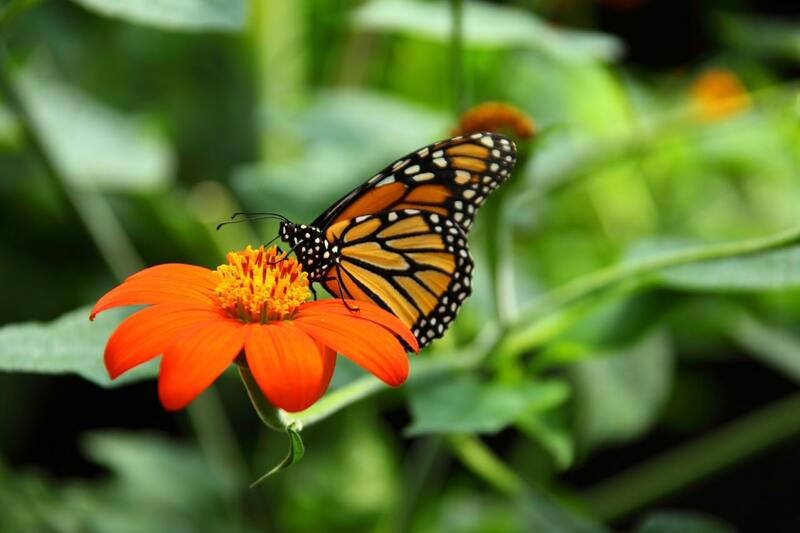 If you are looking for assistance in setting up your butterfly garden, contact Fox Hollow Landscaping & Design at 973-263-8106 for all your plants, flowers, and landscaping needs and ensure you have the most beautiful and vibrant butterfly garden in all of New Jersey.